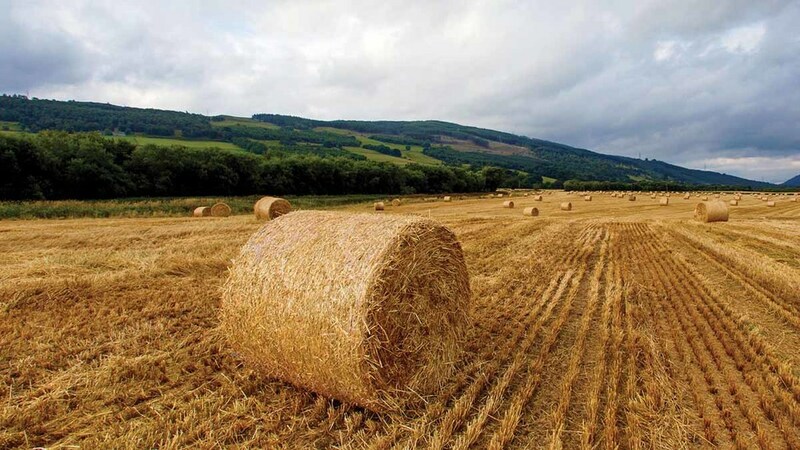 Strong demand from the pig, poultry and ethanol sectors have helped support UK wheat values, with high production numbers at Scottish distilleries creating strong spot demand in Scotland. But it has been a ‘very frustrating above-average harvest’ for farmers according to CRM AgriCommodities director Benjamin Bodart. “The 2017 harvest was meant to be disappointing due to the prolonged period of dryness during spring and the flash heatwave in June, but Mother Nature has decided otherwise,” he said. Defra has estimated a 5.4 per cent increase in production for the UK wheat crop, at 15.16mt year on year, with barley production up 10.6 per cent on last year at 7.36mt. But quality issues have led to a rise in milling wheat premiums, from about £5/t in early August to £20/t. Zoe Andrew, key account manager grain at Frontier, said these higher numbers could put pressure on values by increasing the exportable surplus. On Friday (October 6) she added November 17 wheat prices were trading £18/t higher than November 16 at the same time last year with forward values for next year’s crop at the highest for three years. “These values offer farmers a good opportunity for grain marketing in what remains an uncertain and potentially volatile marketplace,” said Ms Andrew. Uncertainty was a key theme, with currency one of the biggest concerns and Brexit making exchange rate changes unpredictable. Globally, the biggest problem for markets was large wheat stocks. But Mr Bodart said production for the top eight exporters could decline by more than 20mt without considering potential weather impacts in Australia and Argentina. “And with the world so reliant on the Russian origin, the slightest accident in the Black Sea or a deterioration in the outlook for next harvest could be the bullish catalyst wheat has been missing for a while,” he added. Wheat will also have to compete on the export market with the US corn crop, which also had a better than anticipated harvest. But the harvest still drags on and Sam Scott, grain trader Scotland at Cefetra, said it would go down in history as ‘one to forget’. He said predictions for the large Scottish harvest had led to some ‘head-scratching within trade circles’ with about 20 per cent of harvest still to be completed in Scotland. “That said, most growers are reporting average yields across the board and in certain situations we have heard five per cent above five-year averages so the number may not be too far wrong,” he said. He added good production numbers from distilleries had created spot demand. “With the drawn-out harvest and delayed plantings, physical liquidity is low and as a result feed wheat is now trading at a premium to LIFFE futures,” he said.